The Note series has always designed with power users in mind with its big display, long battery life, S Pen stylus and top-of-the-line hardware. This year is no different, and Samsung is actually doubling down on that premise with more RAM, more storage, and the biggest battery it has ever put in a smartphone. 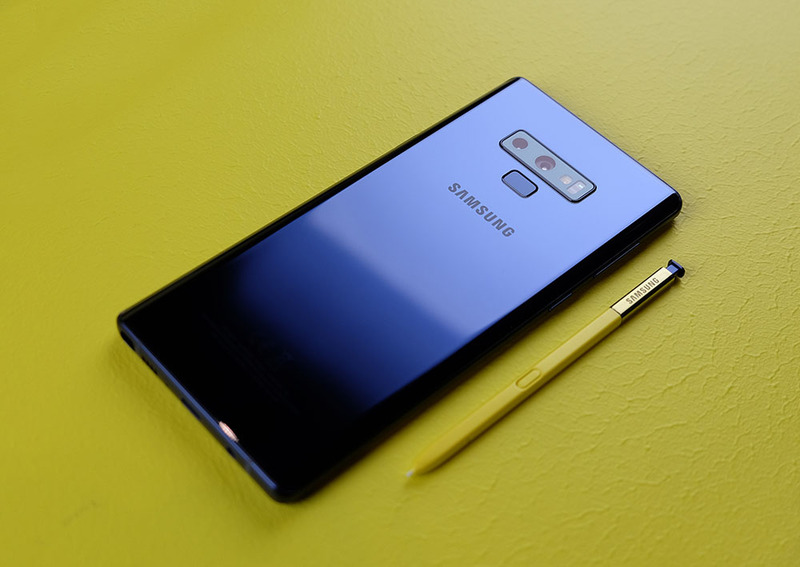 The new Note9 looks a lot like last year's Note8. It's slightly bigger and thicker, measuring 161.9 x 76.4 x 8.8mm, and it's also a little heavier, at 201g. But comparing the two side-by-side, it's hard to tell the difference. The Super AMOLED display has also grown to 6.4-inches, but retains the same 18.5:9 aspect ratio, and QHD+ 2,960 x 1,440 resolution (~516ppi). Samsung is once again using a diamond cut chassis with chamfered edges. The bevels actually have a slightly glossier finish than the main body, which produces an interesting but subtle two-tone effect. On the back of the device, the dual rear camera setup is now color matched to the phone instead of being black on every model. The camera setup is the same one we saw on the S9+, pairing a 12-megapixel wide-angle main camera with a dual aperture f/2.4 and f/1.5 lens, with a 12-megapixel, f/2.4 telephoto camera. However, the setup uses a horizontal orientation similar to last year's Note8, instead of the vertical one found on the S9+. The camera has also received some software improvements, including wider HDR range, better background blurring in Portrait mode, and improved AI-powered scene recognition software - it can now detect up to 20 different scenes. Flaw detection has also been improved, and can now recognize four problems: eye blink, image blur, lens smudge, and too much backlight. If your photo has one of these problems, a pop-up will warn you to retake the shot. We expect all of these software improvements to also be rolled out to the S9+ at some point, however Samsung hasn't been able to confirm that yet. The rectangular fingerprint scanner has been relocated to below the camera module, and turned sideways to match the horizontal orientation of the camera module. The back is once again glass and curved at both edges to mirror the dual curved display on the front. At the bottom of the phone there's the port for the S Pen, a USB-C port, a headphone port, and a downward firing speaker. Like the S9, the Note9 has been upgraded with stereo speakers custom tuned by AKG with the earpiece doubling up as the second speaker. 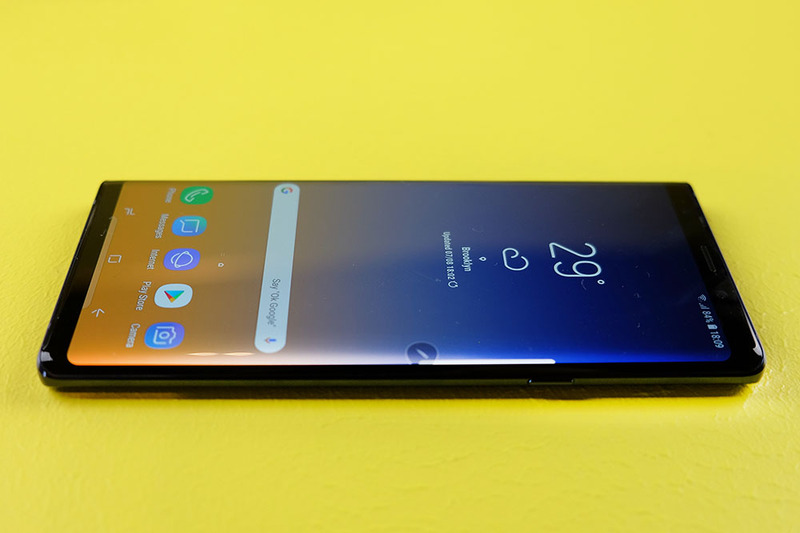 Like the S9, the Note9 offers Dolby Atmos surround sound, both with headphones plugged in and through the phone's own speakers. The power button can be found on the right-side, while the volume rocker is once again on the left. Like last year's Note8, both the phone and the S Pen are IP68 rated. 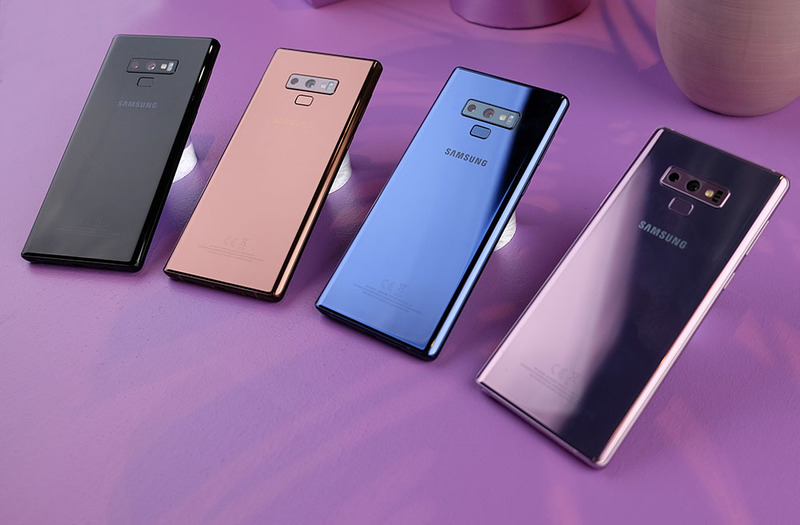 The phone will be available in four colors: Midnight Black, Metallic Copper, Ocean Blue, and Lavender Purple. 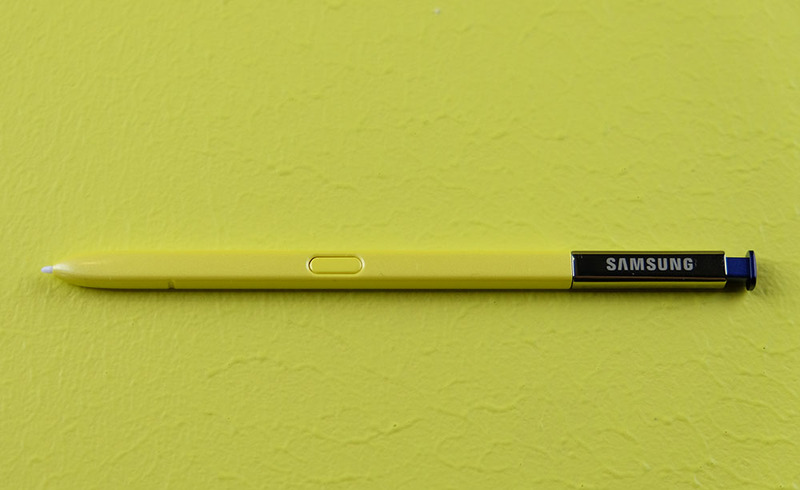 Each color comes with a color-matched S Pen, except for Ocean Blue, which has a yellow S Pen that reminds me of those old Staedtler pencils. 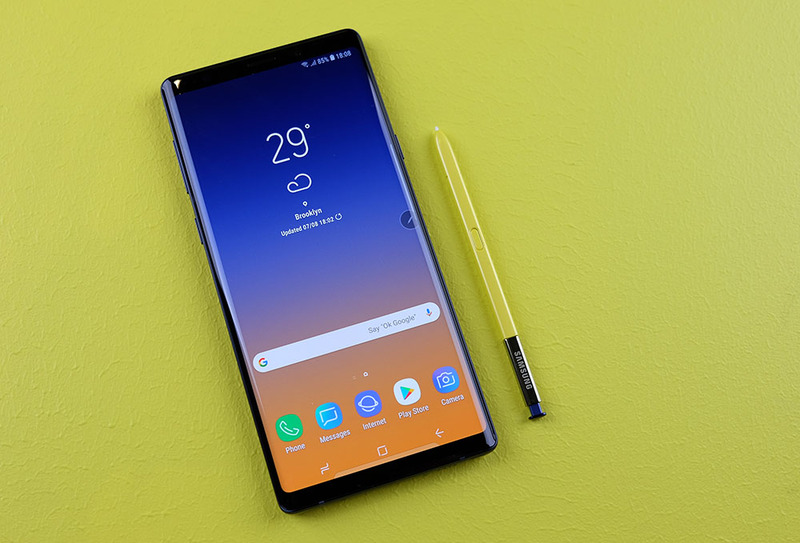 Like the S9, two variants of the Note9 will be available, one with Qualcomm's Snapdragon 845 processor, and one with Samsung's own Exynos Series 9 9810 processor. We expect the 845 model to be available in the US, while all other regions, including Singapore, will get the 9810 model. There will also be two RAM/storage configurations available: one with 6GB RAM/128GB storage, and one with 8GB RAM/512GB storage. Both configurations will have microSD card slots compatible with cards up to 512GB, so if you opt for the 8GB RAM model, you could theoretically have up to a whopping 1TB of phone storage. 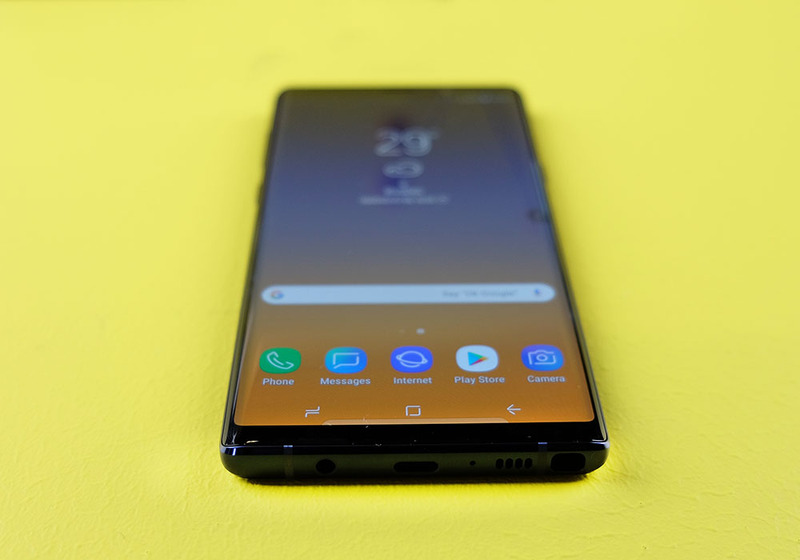 Samsung has also improved the water carbon cooling system inside the Note9. The new cooler's thermal spreader is three times larger than the previous model, and Samsung has made the switch from silicon to carbon fiber, resulting in 3.5x better heat dispersion. Samsung has also added an AI-based performance adjuster. All of this should result in better performance, particularly for graphics and processor intensive apps like games. After the Note7 disaster, Samsung played it a bit safe with the Note8's battery, reducing it to just 3,300mAh. Two years on, and with Samsung more cautious than ever about battery safety, its engineers now feel confident enough to put a massive 4,000mAh battery inside the Note9 - that's the biggest battery ever put in a Samsung phone, and according to Samsung, the main reason why the phone has increased slightly in size and weight. While many people love the Note series S Pen, I know some people who don't get much use out of it because they don't need its productivity features. Fortunately, Samsung has now added more functionality to the S Pen and this time it has nothing to do with writing or drawing. 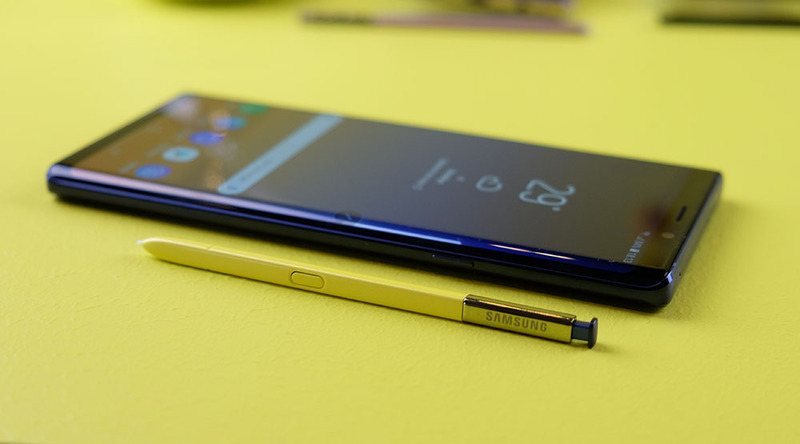 The new S Pen uses a low energy Bluetooth module and antenna that enables a wireless connection up to 10 meters away. You can use this new-found freedom to use the S Pen as a remote control. For example, by default, long pressing the S Pen's button launches the camera app. Click once to take a picture, or click twice to switch to the front-facing camera. It works in YouTube too. Click once to pause/unpause the video, or click twice to advance to the next video. Right now, there are 11 apps that work with S Pen Remote, including the Samsung Gallery app, Samsung Music, the default camera app, YouTube, and Microsoft Office Powerpoint (click once to go forward one slide, click twice to go back one slide). You can also customize the long-press button to launch any app of your choosing. Unfortunately, you can't customize other apps to use S Pen Remote right now, however Samsung will be making the SDK available to app developers if they want to add that functionality. The new S Pen also charges much faster than any previous model thanks to a new super capacitor inside it. It takes just 40 seconds inside the phone to reach full charge, which will give you 30 minutes of standby time or about 200 clicks. Of course, Samsung has also added some new productivity features for the S Pen, my favorite being a new trace option that lets you overlay any picture and trace on it to create a drawing - perfect for people with no artistic talent. Another nice new feature on the Note9 is the ability to connect the phone to a monitor and use desktop mode without requiring a DeX dock. Instead, you can simple use any USB-C to HDMI adaptor. Once connected you'll be able to use the phone's display as a trackpad, or you can wirelessly connect a mouse and keyboard. 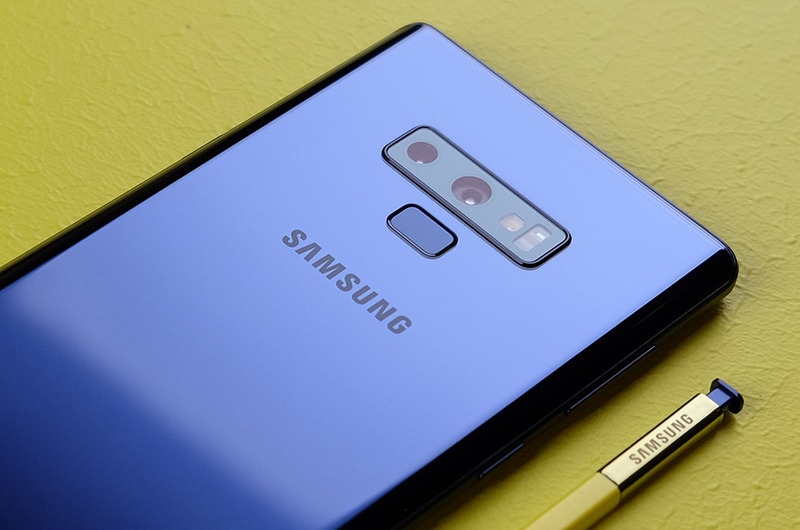 While the Note9 feels more like an evolution than a revolution, it's still likely going to be one of the best phones of the year, thanks to its complete feature set, which includes one of the best, if not the best, dual camera setups around, a huge (and notchless) Super AMOLED display, stereo speakers, a massive battery, at least 6GB RAM paired with a top of the line processor, a large amount of internal storage paired with expandable storage, and the best productivity features you can find on a smartphone. 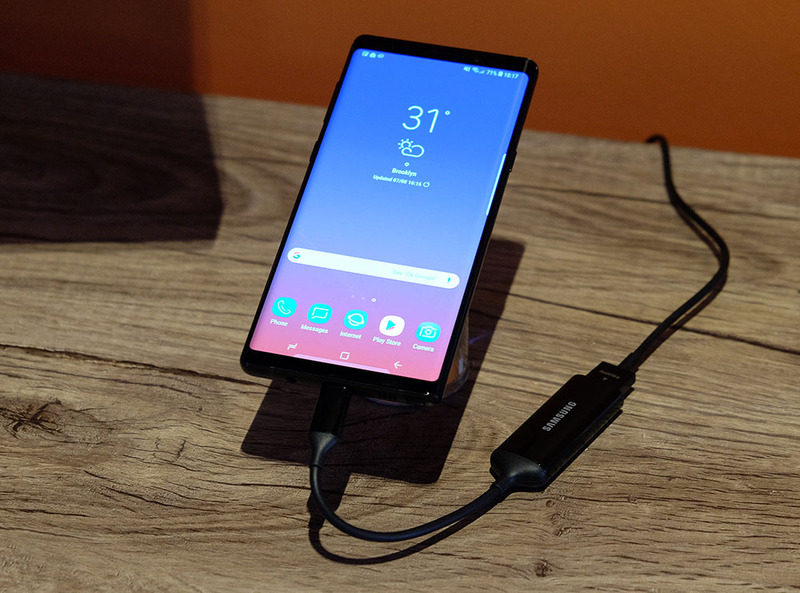 The new S Pen Remote makes the S Pen more useful than ever, and useful refinements like the ability to use Desktop mode without a DeX dock make the Note9 the complete package. Also read: Samsung Galaxy Note9: Local pricing, pre-order promos, and more! This article was first published on August 9, 11:30 PM SGT.